SILVER and GOLD BOTTOM ? 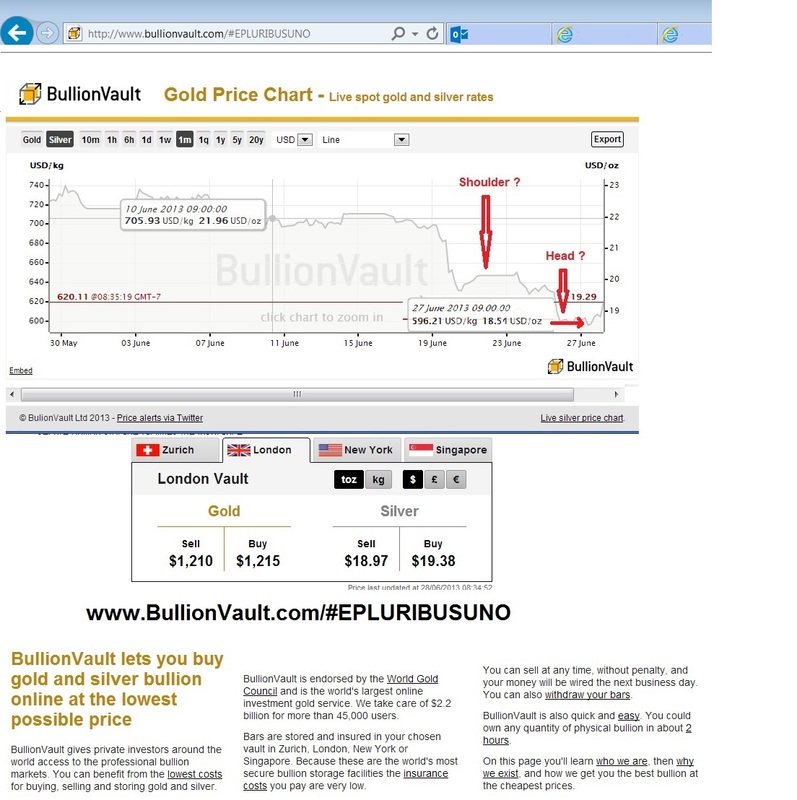 I said yesterday that a lot will happen today, Friday, June 28, 2013, as far as indications as to which way the Gold and Silver markets will go. JPM was leading the way in determining where the market had to go to cover their short position deliveries. If enough was enough in terms of profit taking, the market would quickly begin to revert to fundamentals, since the price of Gold and Silver was below extraction cost, in the opinion of many experts. I said that because of the quick rally after major 3 year lows, that the slide may have shaken out all the stops that were available to be had, before new investors swooped in to grab the bargains in metals. Well, although it is early to tell, it looks like the downward pressure has ended, and a reverse head and shoulders may be forming as we speak. For those who were looking for the end to the slide, the time to et in may be here. There doesn’t seem to be much room or reason to believe that they metals can go much lower without looking completely manipulated.